Who doesn't love a bargain? 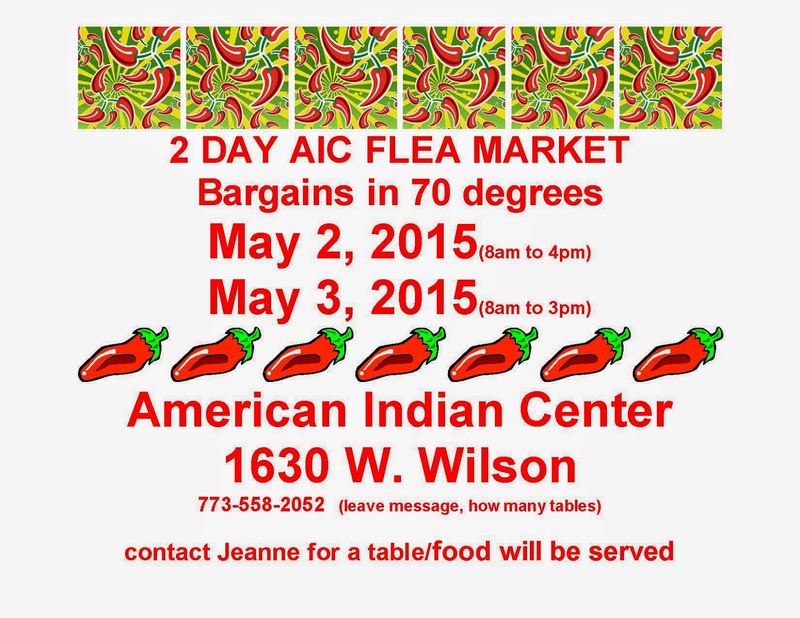 The American Indian Center, at Wilson and Paulina, will be holding a flea market on Saturday and Sunday. If you'd like to set up a vendor table, please contact Jeanne at the number above. (Table prices are $15/one day, $25/both days.) If you want to shop, please stop by beginning at 8am on Saturday and Sunday. Good luck on the hunt for treasures!